One of the most rewarding things about being part of the Mariposa family is the opportunity to work with colleagues who share our mission and common values of caring and compassion. We demonstrate our culture of caring every day by the little things that we do to provide that extra measure of attention and service. 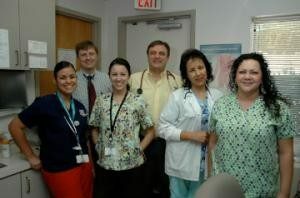 It’s about giving and making a positive difference in the lives of our patients and the community. We’re here for you.